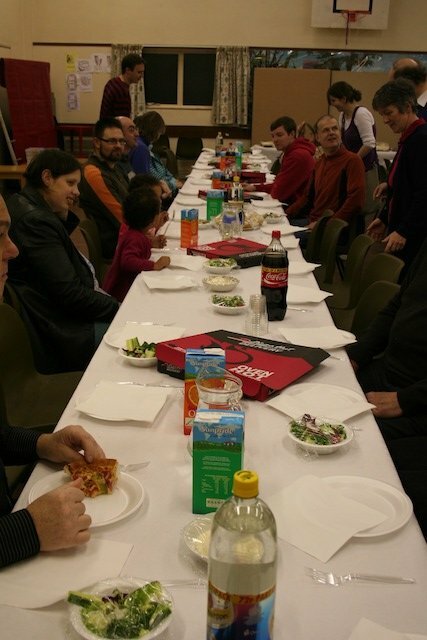 Fellowship Groups are central to the life of the church and at Grove Hill we encourage everybody to join one. Throughout the week small groups gather in homes to study the Bible, pray and support one another. They are a brilliant way to deepen our relationship with God and with one another. 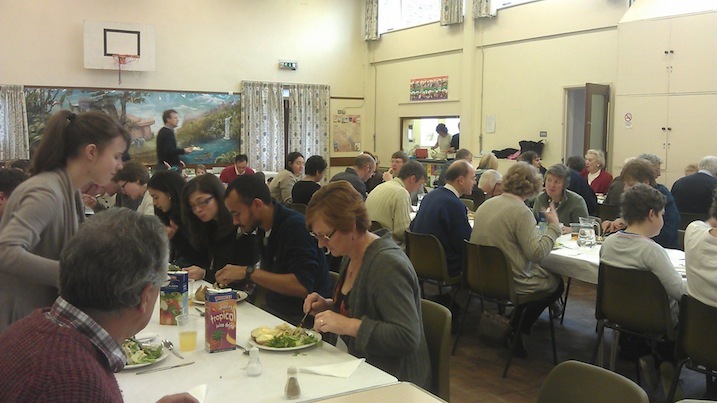 There are a several groups within the church, most of which are located within South Woodford. If you would like more information about joining a group please let us know by emailing us at info@ghec.co.uk, or just stop to chat after one of our Sunday services. 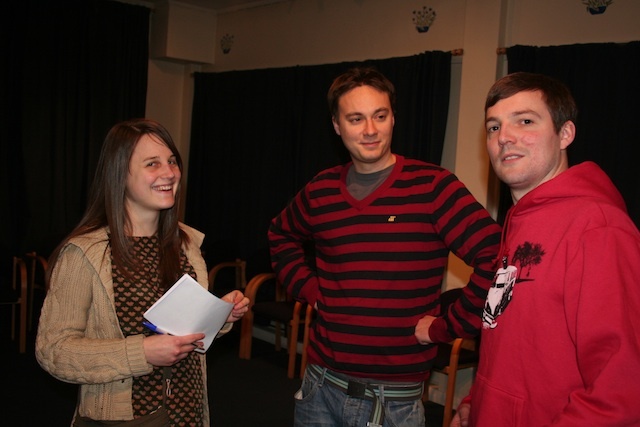 Our website also has a dedicated page about fellowship groups which you can find here. We are hosting a fun morning of Lego on 22nd October starting at 9:30am and ending at noon. 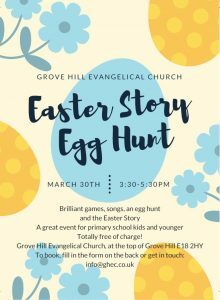 This event is free of charge and will include games, challenges, a Bible story and of course lots of LEGO! 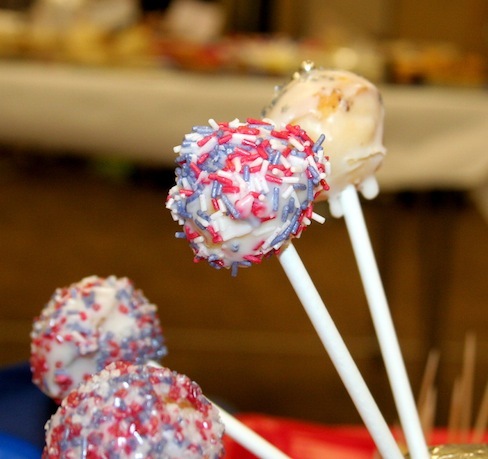 Spaces are filling up fast so don’t miss out on this fun event. 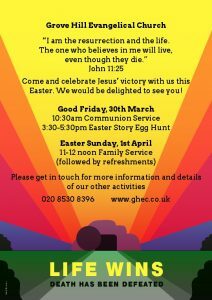 We warmly welcome you to join us at our Easter events as we celebrate once again this very special time of year. Our Good Friday communion service will take place on the 30th March at 10.30am. 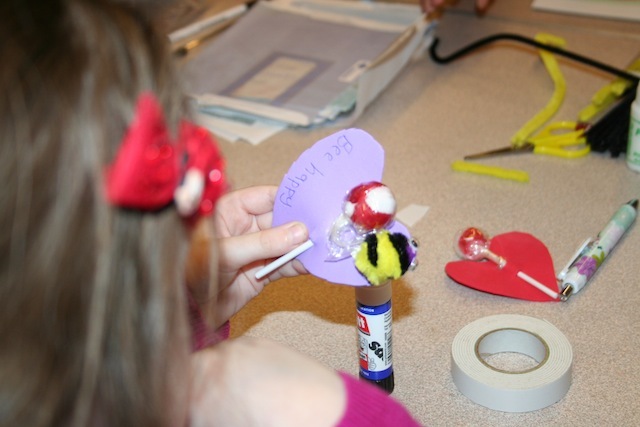 Later that day we will be hosting our annual Easter Egg hunt betwen 3.30pm and 5.30pm. You can download a flyer for the event below. On Easter Sunday, 1st April, we have our Family Service at 11:00 am which will be followed by refreshments. You can find us right at the top of Grove Hill, South Woodford, E18 2HY. 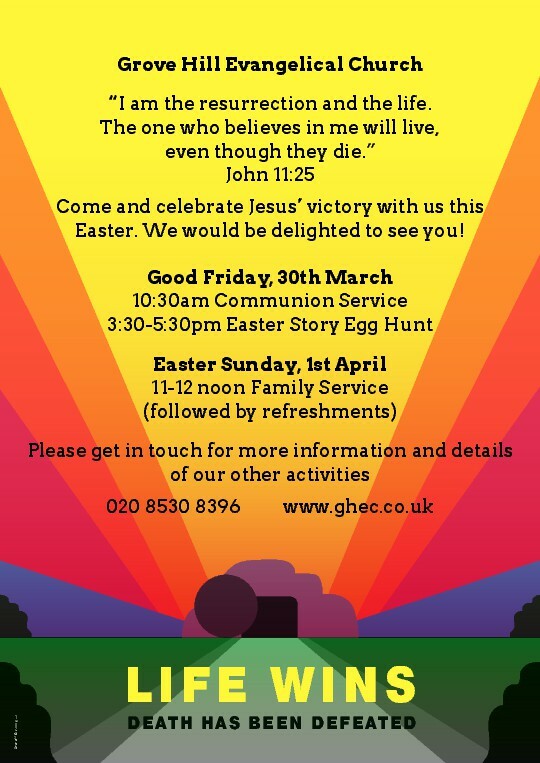 If you have any questions please call the church on 020 8530 8396. 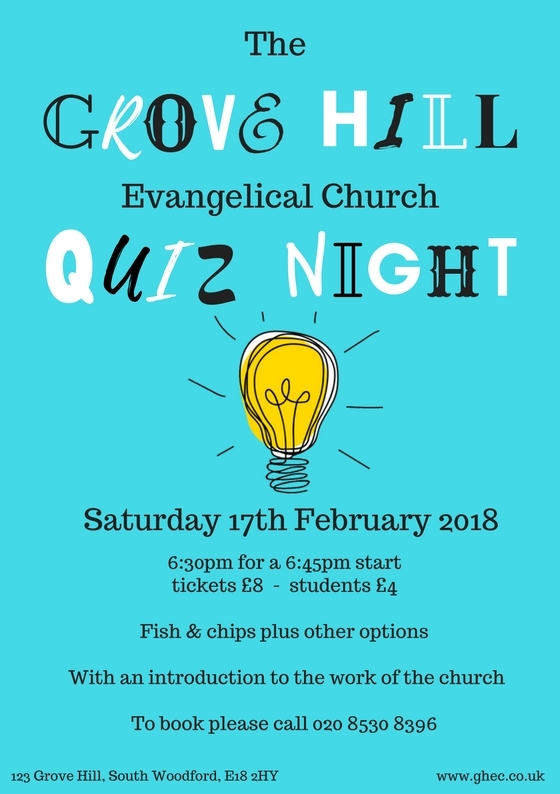 The Grove Hill Quiz Night is back again for 2018! 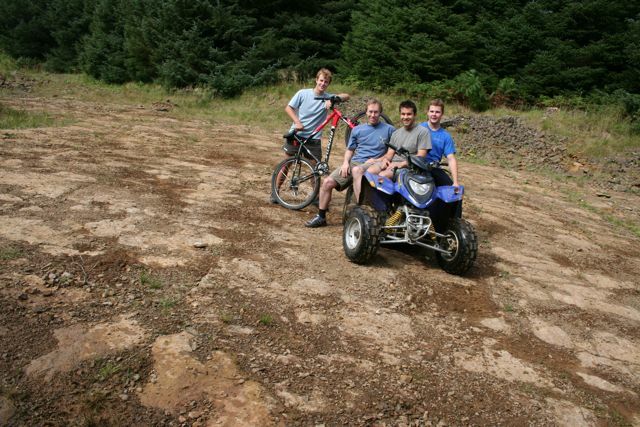 This year the event is taking place on Saturday 17th February. Doors open at 6.30pm for a 6.45pm start. The usual fish and chip dinner is available and included in the ticket price. 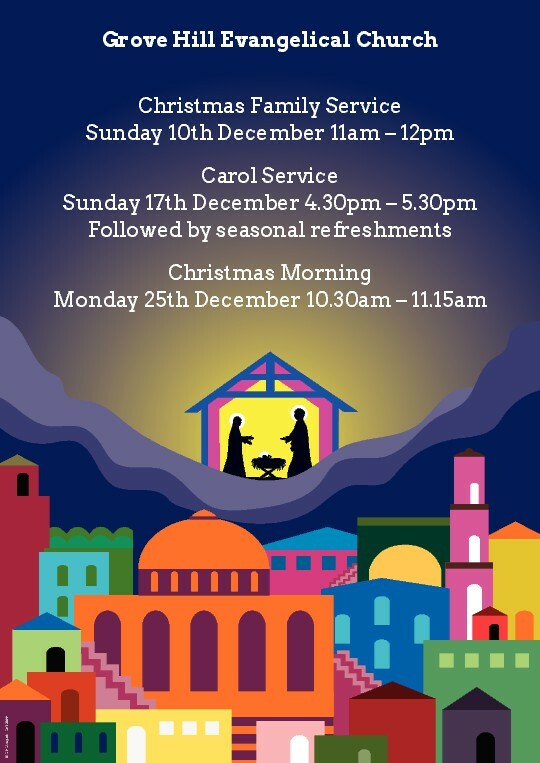 Our 2017 Christmas services are coming up. Details are below and in our Christmas poster.